The Teton Wilderness Area. RIDING IS NOT MANDATORY! You can still experience this unique adventure with family and friends. western cook-out as the sun sets, followed by a cozy campfire and star gazing. Overnight Accommodations. 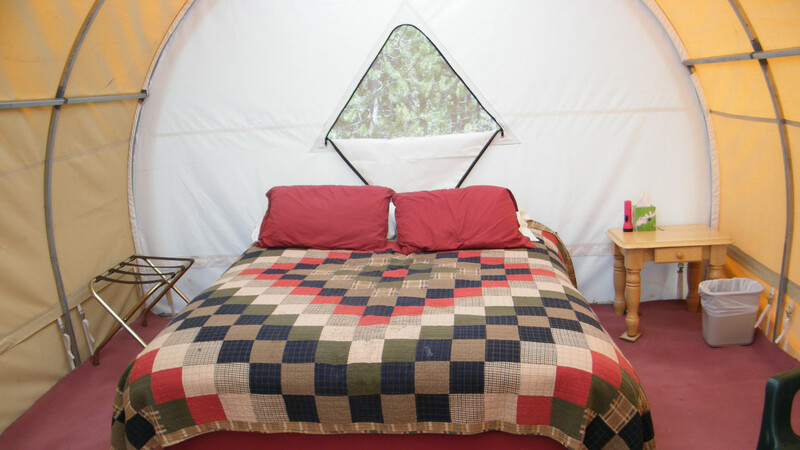 Retire to your private lantern lit wall tent. Sleep on comfortable bunks. 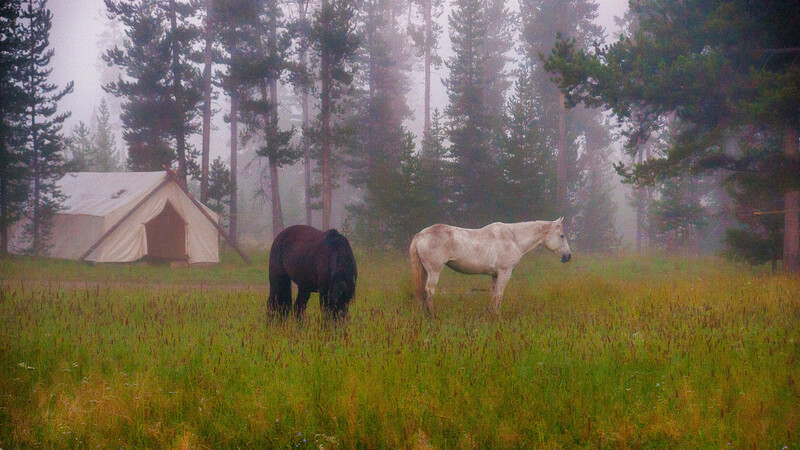 Early risers have the best chance at spotting deer or moose roaming near camp. by a wood stove on frosty mornings. Families and private parties are welcome. What you should bring: Warm jacket, Flashlight, Camera and film. 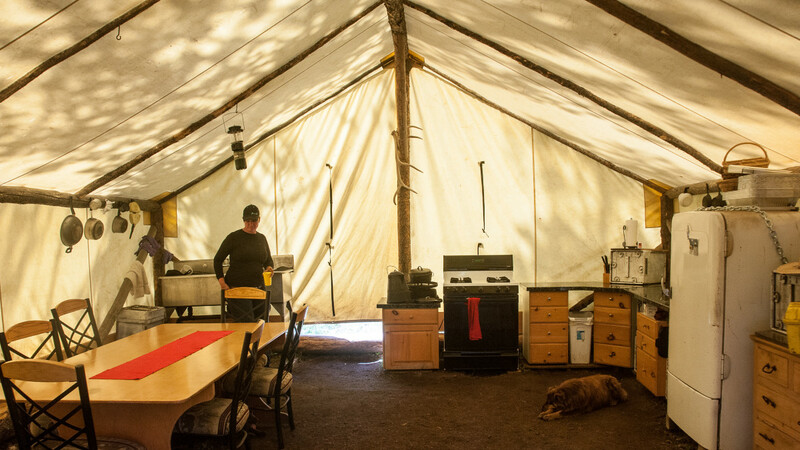 Arrive at our drive-in camp at 4:00PM via your own transportation. 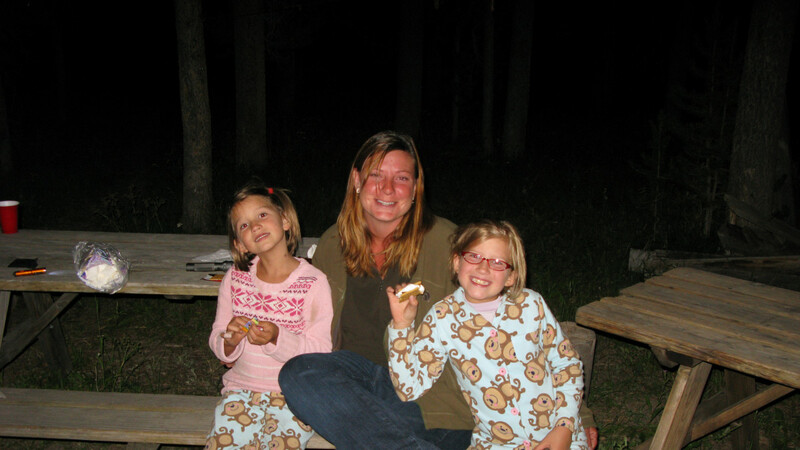 Wilderness Trails is a family owned and operated business for over 50 years. 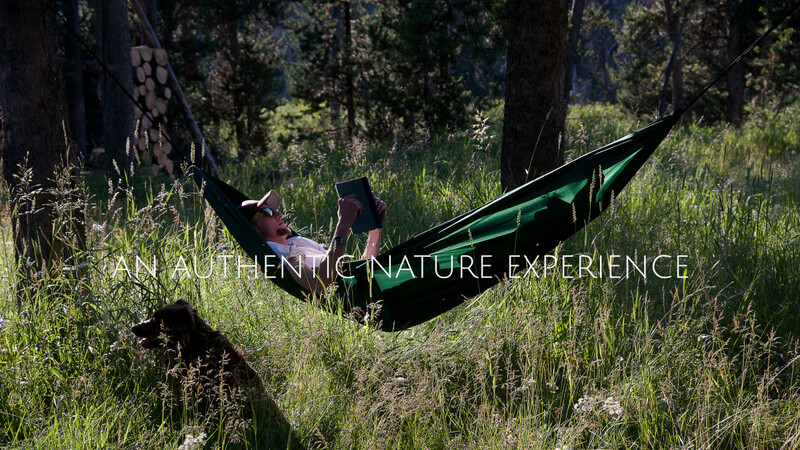 Providers of a full line of outfitting services including; Wilderness Pack Trips and Fishing Trips, Bedroll & Breakfast, Drop Camps, and Horseback Riding in Yellowstone Park and the Teton Wilderness Area in Jackson Hole, Wyoming.